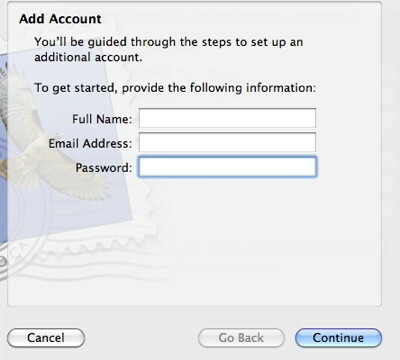 The purpose of this page is to describe how to set up a new email account to work with OlympusNet email servers. You’ll start with a Welcome to Mail dialog. Enter your Full Name, Email Address and Password in the fields indicated. Click Continue. Select POP from the Account Type dropdown menu. Advanced users may use IMAP. Enter mail.userservices.net in the Incoming Mail Server field. 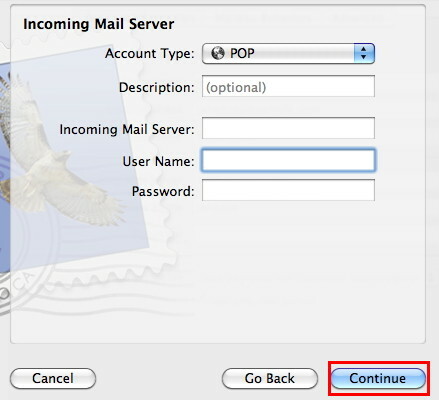 Enter mailc11.megamailservers.com in the Incoming Mail Server field. 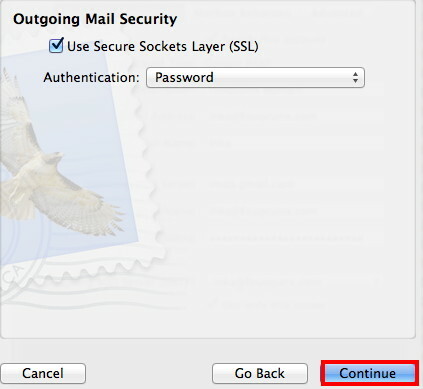 Note: mail.example.com may be used if you have the password for the operating system to get through the Trust Certificate OS X. Mail may try to confirm your credentials. Click Continue even if it fails. 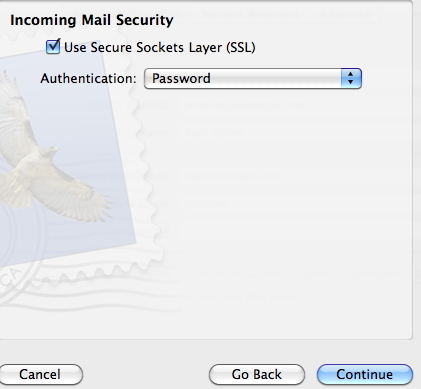 For Incoming Mail Security, check the checkbox next to Use Secure Sockets Layer (SSL). Click Continue. This window may not come up. Set Authentication to Password in the dropdown menu. Click Continue. In the Outgoing Mail Server dialog box, entering username out is a good option for the Description field, substituting your own email username for username, e.g. janedoe out. 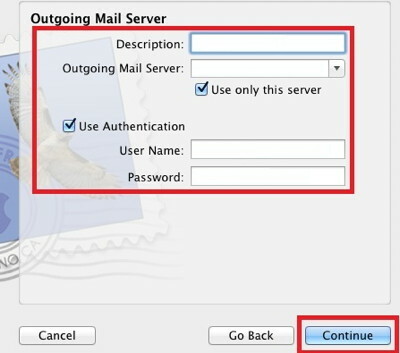 Enter mail.userservices.net in the Outgoing server field. Enter your full email address in the User Name field; enter the password for that account in the password field. The Use Authentication checkbox must be checked. Enter mailc11.megamailservers.com in the Outgoing server field. Click Continue. Mail will try to confirm your credentials. Again, click Continue even if it fails. Check the checkbox next to Use Secure Sockets Layer (SSL). Choose Password from the dropdown menu of options for Authentication. Click Continue. If you’ve entered your information correctly, you will be presented with a Summary window. Check Take Account Online and click Create. You will be presented with a dialog box asking if you want to import mailboxes. Unless you have a specific reason, such as newly upgrading on the same machine, you don’t need to do this. Click Done to complete your setup.